Abel Haggard is an elderly hunchback who haunts the remnants of his family's farm in the encroaching shadow of the Dallas suburbs, adrift in recollections of those he loved and lost long ago. As a young man, he believed himself to be 'the one person too many'; now he is all that remains. Hundreds of miles to the south, in Austin, Seth Waller is a teenage 'Master of Nothingness'-a prime specimen of that gangly, pimple-rashed, too-smart breed of adolescent that vanishes in a puff of sarcasm at the slightest threat of human contact. 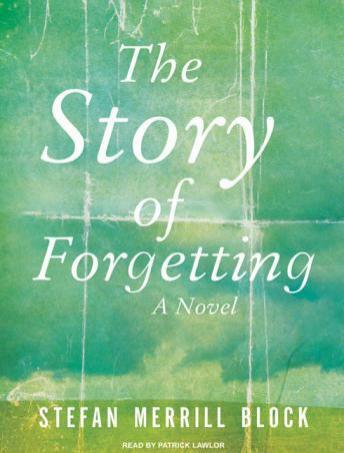 When his mother is diagnosed with a rare form of early-onset Alzheimer's, Seth sets out on a quest to find her lost relatives and to conduct an 'empirical investigation' that will uncover the truth of her genetic history. Though neither knows of the other's existence, Abel and Seth are linked by a dual legacy: the disease that destroys the memories of those they love, and the story of Isidora-an edenic fantasy world free from the sorrows of remembrance, a land without memory where nothing is ever possessed, so nothing can be lost.